Grave Reference 82 (On North boundary). 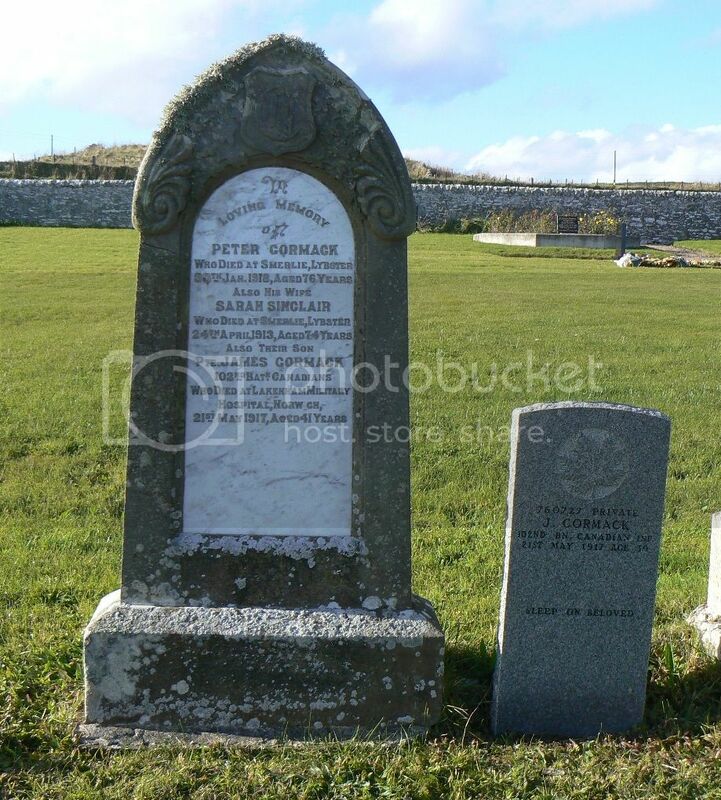 Son of Peter and Sarah Cormack, of Smerlie, Lybster. Grave Reference 814 (In South part). Regiment/Service:Royal Naval Reserve H.M.S. "Gunner." 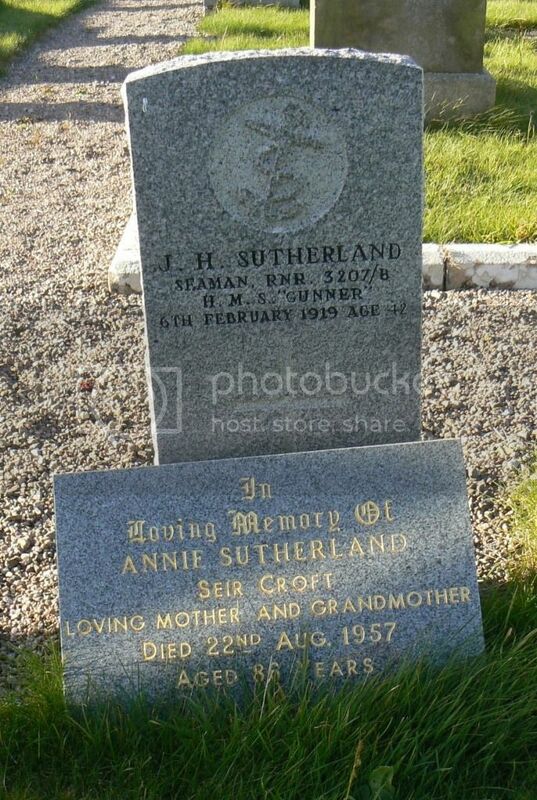 Son of John and Elizabeth Sutherland; husband of Annie Sutherland, of Mid-Clyth. Born at Mid-Clyth. 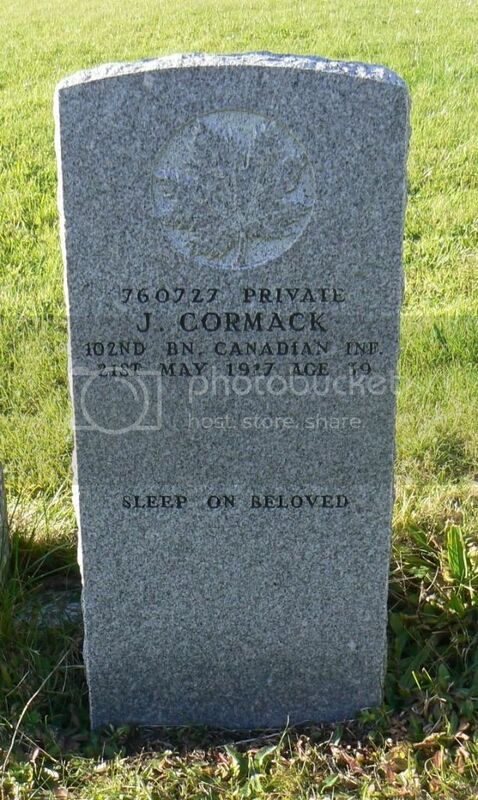 Grave Reference IV. W. 2. 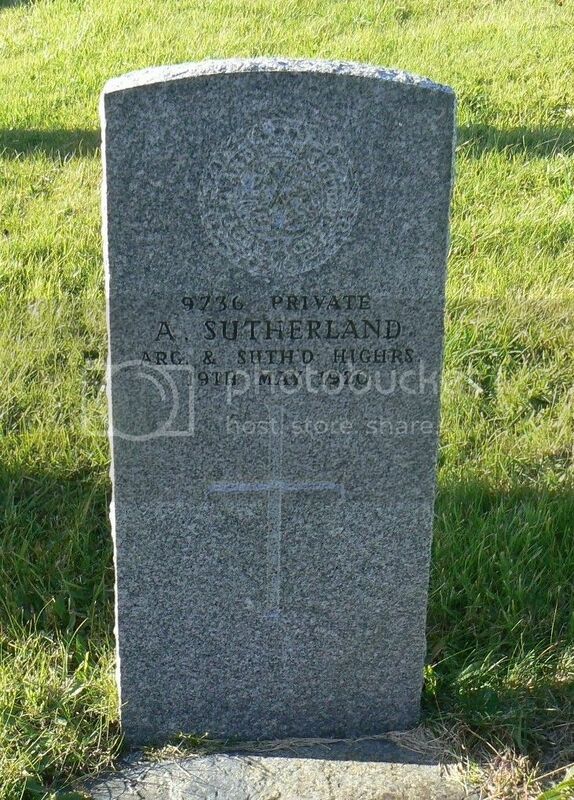 Son of William and Amelia Sutherland Bryden. Born at Bruan, Wick. Regiment/Service:Australian Infantry A.I.F. 2/21 Bn. 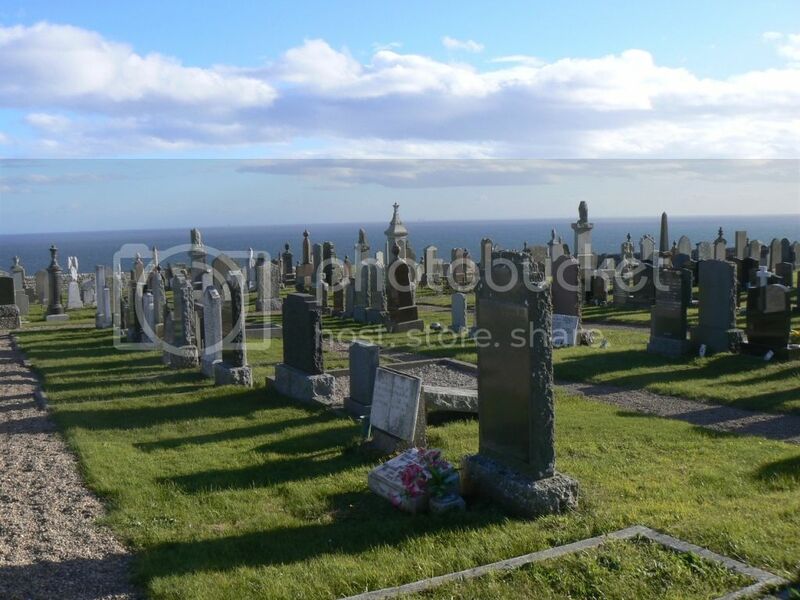 Grave Reference 20. B. 13. 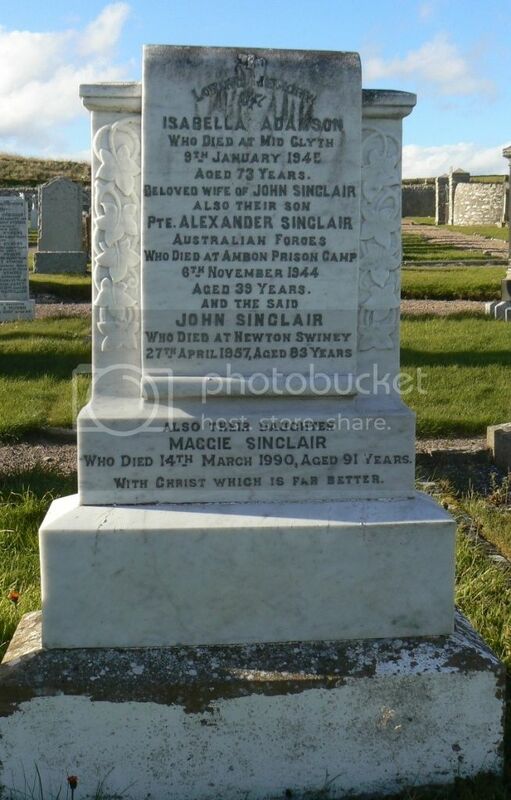 Son of John and Isabella Sinclair, of Occumster, Caithness-shire, Scotland.